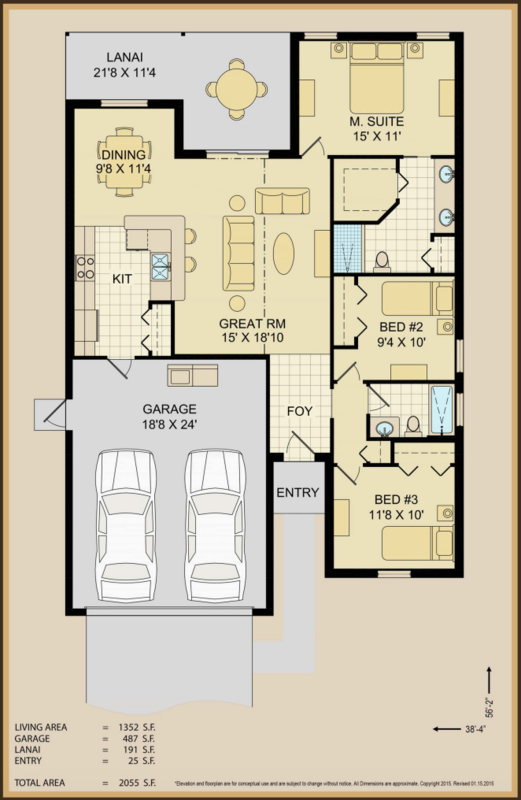 This floor plan provides style and comfort with an open kitchen including a bar top extending into the great room. The tall entryway compliments the tiled foyer and cathedral ceilings. The inviting atmosphere of the covered back lanai adds the perfect touch to make this design our most popular.